Dynamic, highly organized, results oriented hospitality professional offering focused leadership driving sales and profitability, seeks stable position with potential for advancement. Excellent customer relation, training, supervision and team building skills with ability to motivate others. Able to multitask in a fast paced environment while remaining professional and courteous. Knowledgeable in Front and Back-of-House Operations: Vendor, Inventory, Payroll and P&L. Marketing, Sales, Budgeting and Cost Controls. Turnaround Management and Profit & Growth Strategies. Proficient in MS Office, Social Media, ACT, Open Table, ADP, and other software/technical skills. I am well-spoken, energetic, confident, and personable, the type of person whom any company or organization can rely upon. I also have a wide breadth of experience of the type that gives any employer the versatility to place me in a number of contexts with confidence that the level of excellence expected will be met. o Attend daily activities of the front desk to ensure quality service of the hotel. o Monitor guest requests and resolve all complaints received to maintain customer satisfaction. o Recognized regularly for providing exceptional guest service. 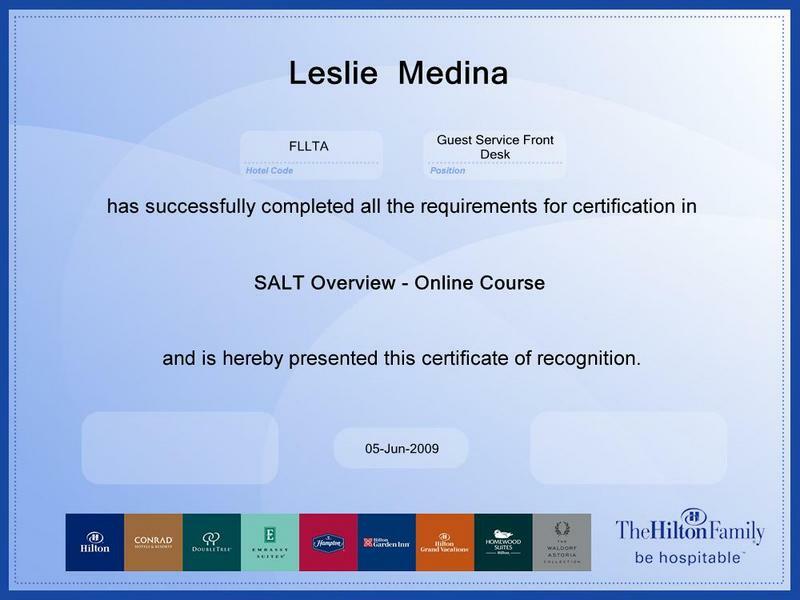 o Supervised and monitored front desk staff and ensured that the established procedures are completed in accordance to the policies and procedures of the hotel. o Conducted staff meetings including reviewing of hotel standards, departmental procedures and operating issues; performed employee evaluations and handled disciplinary issues. 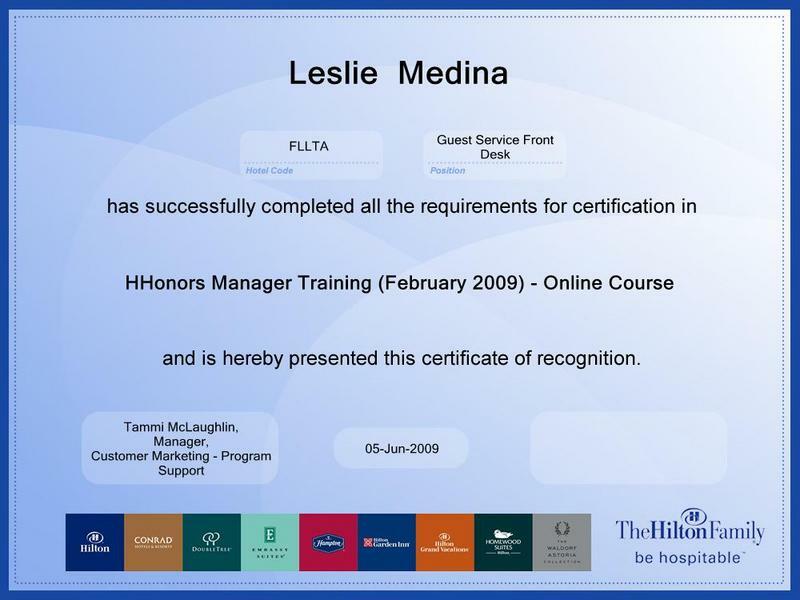 o Ensured that corrective actions are taken immediately for all guest complaints. o Assisted with sales and marketing efforts by developing systems for tracking and reaching target clients. o Managed 80+ staff members: processed vacations, payroll and time edits, uniform needs, HR paperwork etc.o Administered specs and changes for banquet event orders, scheduled and staffed functions.o Created weekly Banquet Cover Forecast. o Developed a new payroll system along with the HR that was implemented by the entire banquet department. o Provide excellent patron experiences through phenomenal customer service. o Trained new servers, and accounted for all wait staff sales and receipts. o Controlled flow of food by expediting between the kitchen and the runners. oRecommended wine to clients upon request. o Managed guest database and hosted door. o Lead the front desk staff, by assigning responsibilities and addressing daily pre-shift meetings. o Managed reservations and VIPs requests.o Created weekly schedule for the front of the house maintaining labor costs low. o Responsible for overseeing catering events.